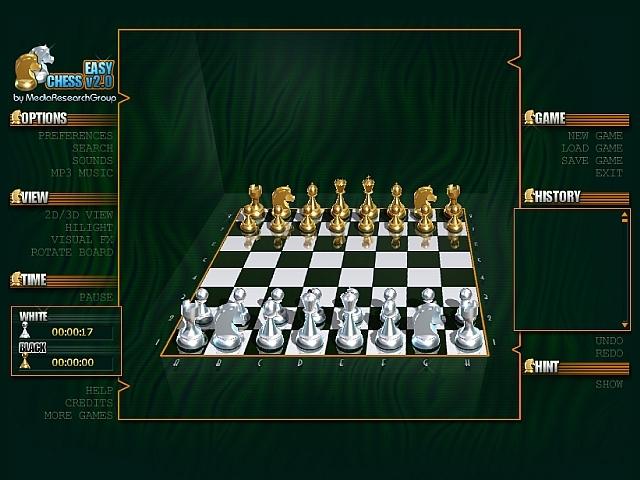 The virtual incarnation of chess will not disappoint fans of the original, ages-old chess game. Exciting new themes appear constantly, kings change crowns and regularly hold unusual chess tournaments. Warblade is a PC arcade shoot'em up game with focus on very good playability. The game is a remake for the PC of my Amiga game Deluxe Galaga. Was one of Adrenaline Vaults top shareware games of 2004! The game requires DirectX 8.1 or later. Stattera is a breakout-style game with ultra realistic physics in 3D space. 60 level and 15 unique bonuses. Impressive graphics and dynamic gameplay. Magic Ball is now includes more bonuses and contains 30 new levels – guaranteed to have you hooked up! Professional 3D graphics, studio-level sound effects, awesome original soundtrack and well-designed gameplay are at your service. CheboMan is a classic arcade game, all about collecting treasures and rescuing your friends. Level after level, wandering through the forests, caves, oceans and mountain you will meet more monsters, face more obstacles and collect more bonuses. Bubble Bobble Planet is a collection of three great remakes of the popularclassic game "Bubble Bobble" that first came out in the late 1980-s. Your Matherplanet is suffered from invaders - extraterrestrials. Enemy aircrafts bomb the Earth. You are the last hope of the terrestrials. The best starship is prepared and well equipped. Don't lose the time, good luck!